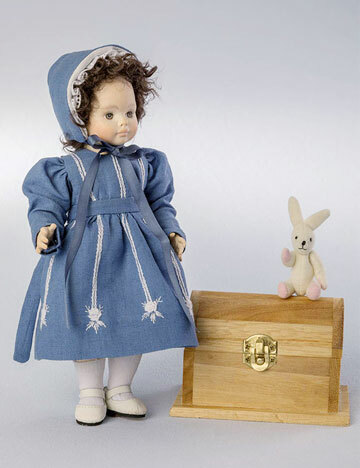 The expressive faces of these adorable and unique wooden creations by Swiss dollmaker Erika Catellani will have you enchanted. 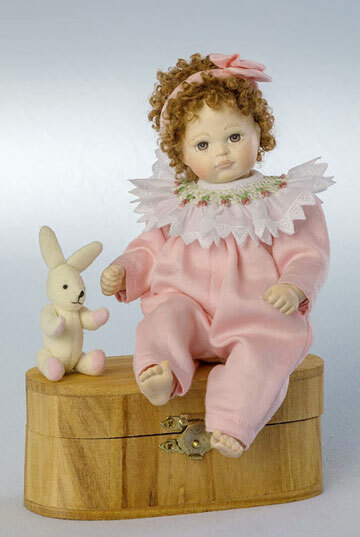 Erika's little dolls are hand crafted in wood. 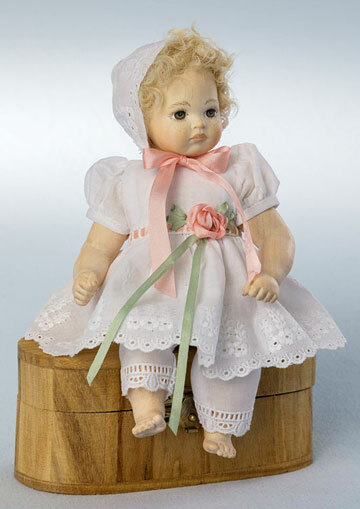 Their clothing is beautifully sewn with fine embroidered detailing which perfectly suits each little personality. 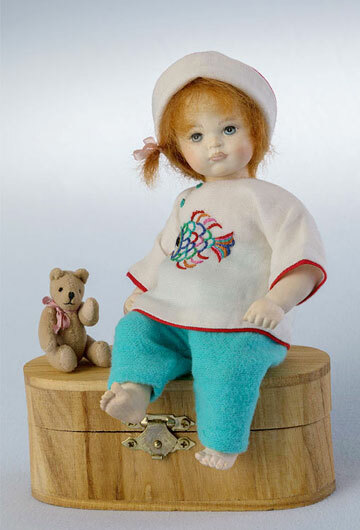 With a background in fashion design and her love of dolls, Swiss dollmaker, Erika Catellani has won the prestigious Eurodoll Trophy three years in a row. 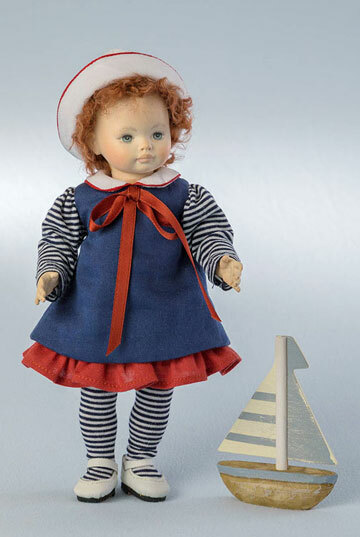 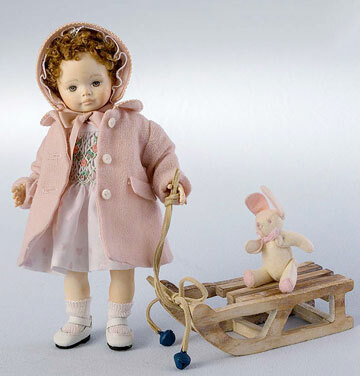 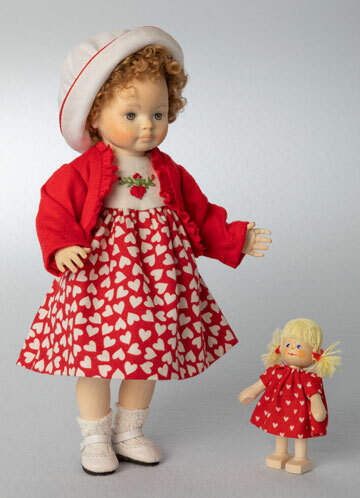 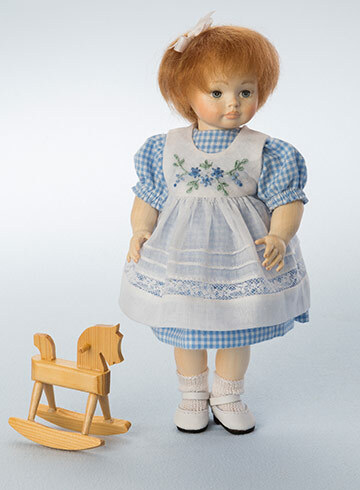 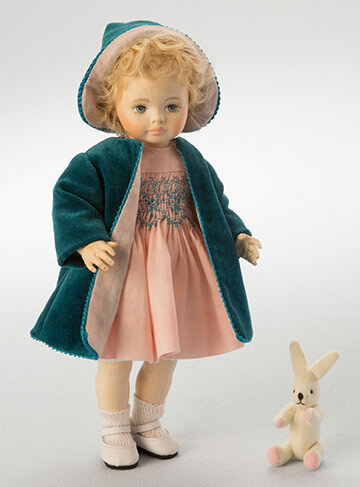 Using only high quality mountain maple gives Erika's dolls a warm and appealing complexion. 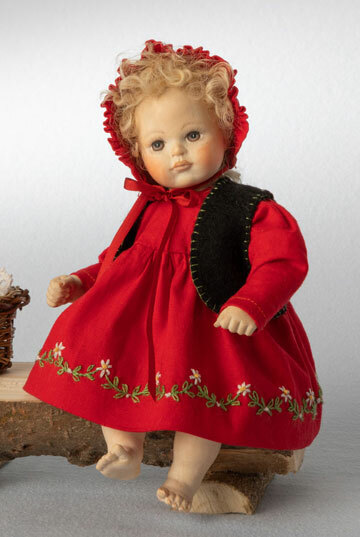 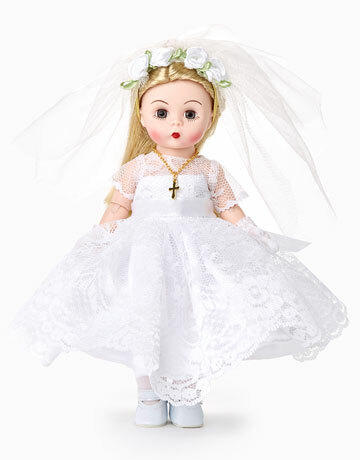 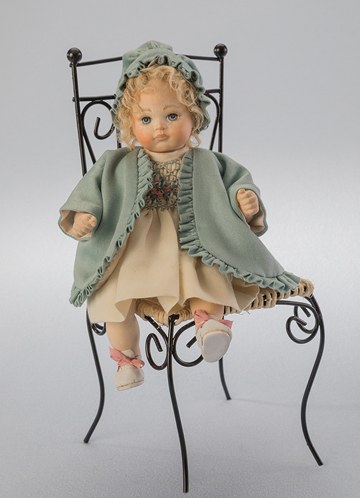 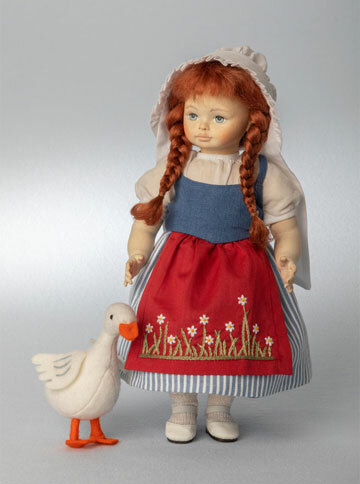 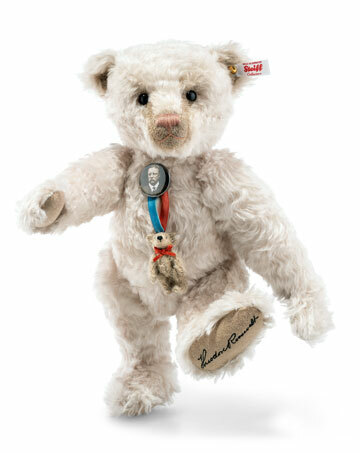 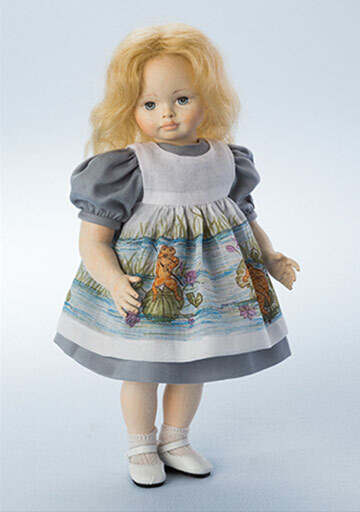 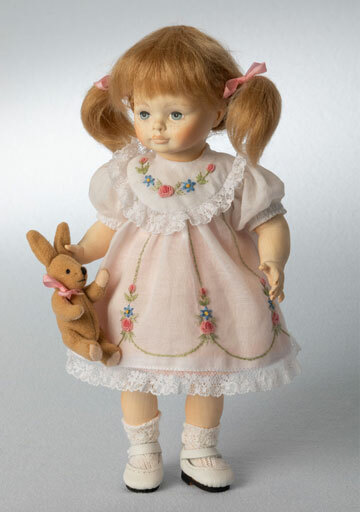 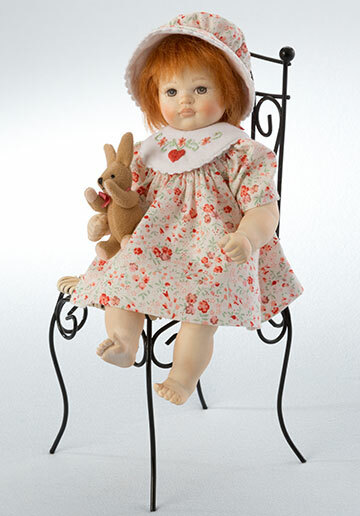 Each doll has handcarved wood head, arms and legs: the perfectly-stuffed cloth body has wire armature designed to enable a very natural posing.